Children's Educational Poster: In vibrant yellow and pink, this fun packed poster is sure to get your child's brain ticking. 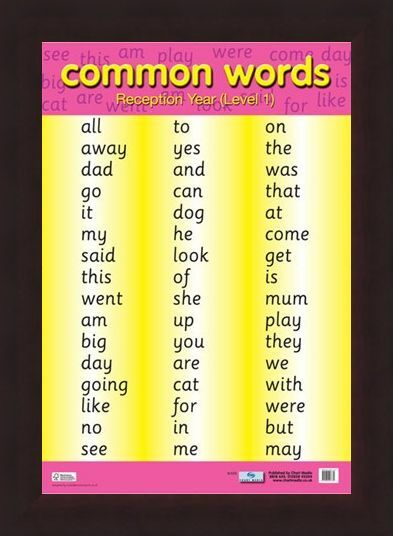 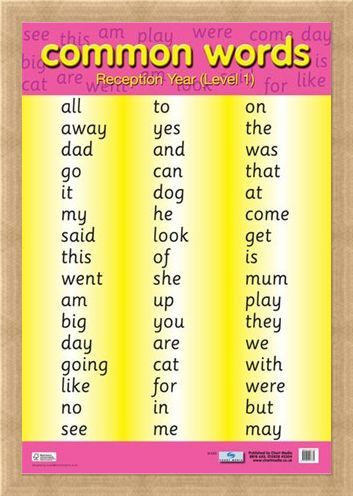 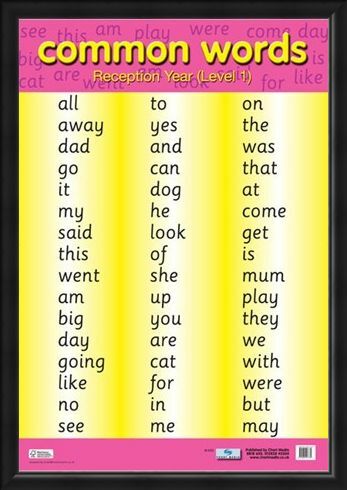 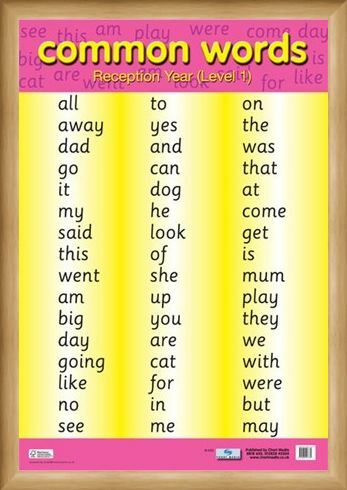 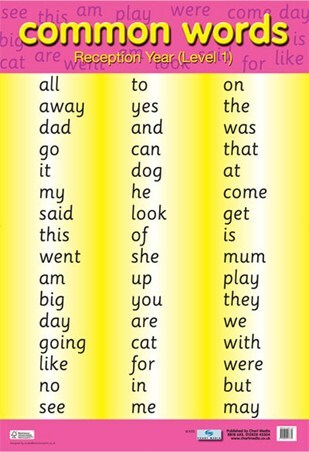 For reception year students (Level 1) this poster is full of common words that they need to know at this stage of their education, including away, dad, said, mum, play, cat, for, me, to and went. 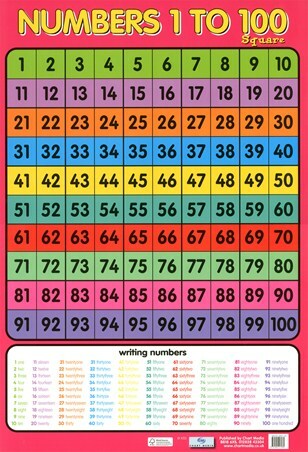 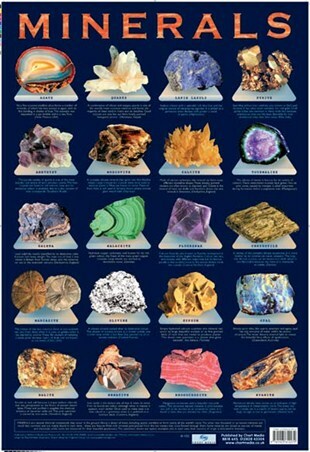 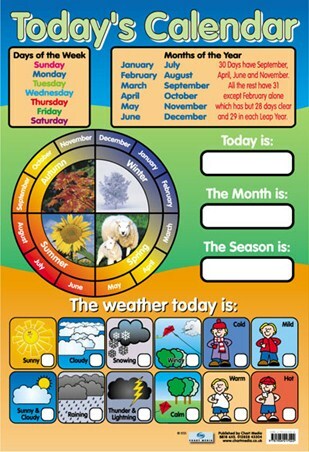 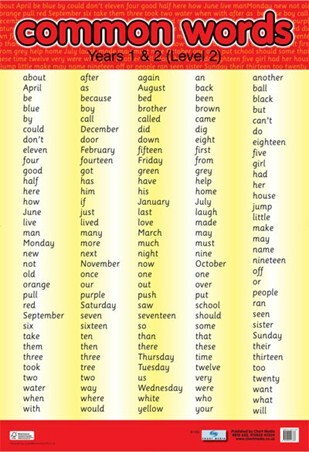 Make learning fun for your child with this eye catching poster that would look great on any wall! 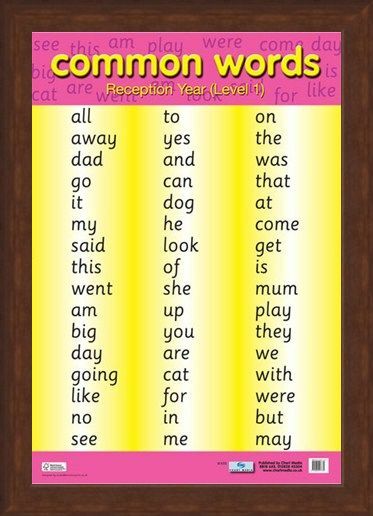 High quality, framed Common Words Level 1, Educational Children's Chart mini poster with a bespoke frame by our custom framing service.